Clipping Chix: Amazon: Elegant Comfort 2-Piece Solid Sheer Window Curtains only $5.98 + FREE Shipping for Everyone! Amazon: Elegant Comfort 2-Piece Solid Sheer Window Curtains only $5.98 + FREE Shipping for Everyone! 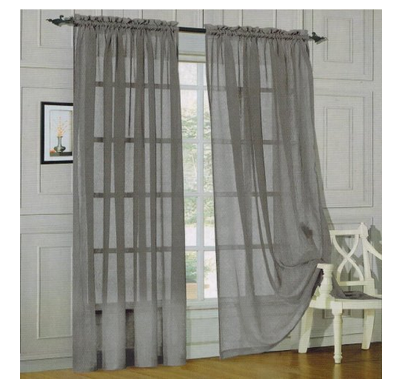 Right you can get these Elegant Comfort 2-Piece Solid Sheer Window Curtains for only $5.98 shipped on Amazon! These curtains are sure to look fabulous in any room! Plus there are many colors to choose from but keep in mind that price will vary. Thanks, Yes We Coupon and RainingHotCoupons!